California’s historic drought has forced the state to ramp up their water conservation methods. Last month, the State Water Resources Control Board began forcing restaurants to do their part, passing a regulation preventing servers from bringing out water unless customers requested it. But regulation is really just window-dressing. Most restaurant water consumption happens behind the scenes during the cleaning process. Cox realized he could replace the typical water sprayer used to pre-rinse dishes before washing with an air compression system and get the same result. According to Cox, that water sprayer accounts for about a third of all water used in the restaurant. By simply changing to an air compressor and airgun, he saw an 80 percent drop in water usage. But is rinsing dishes with air sanitary? 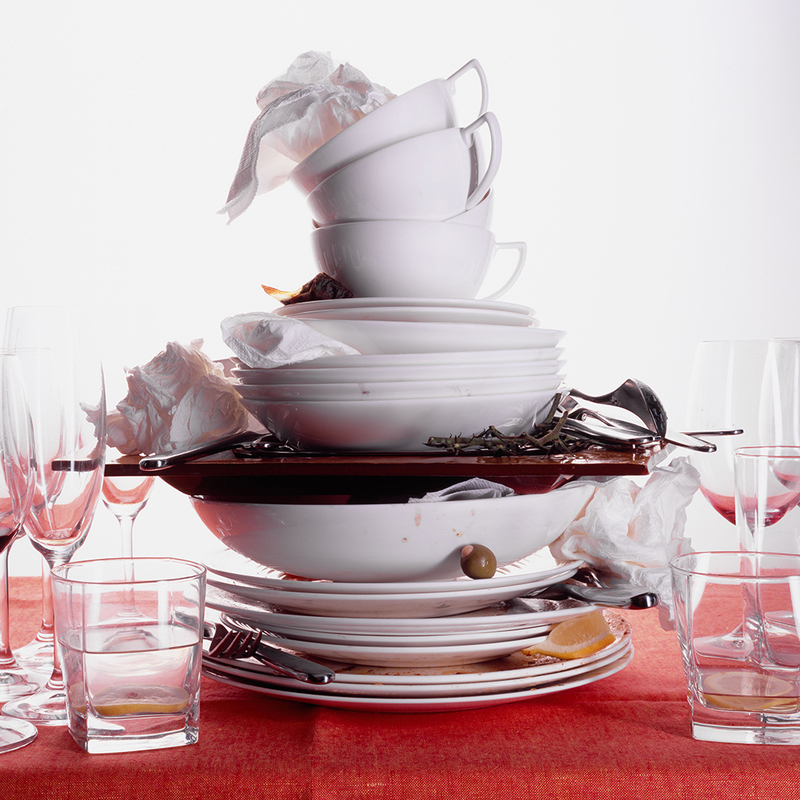 Don’t worry; everything still goes through the normal dishwashing process for a final cleaning. “You need to understand what your dish machine will take care of,” Cox states on the blog. “Most of the time a little bit of grease or other residue will come off in the washing cycle.” It leaves you wondering, since dishes are going to get a final rinse down anyway, why couldn’t every restaurant get away from being so reliant on their water sprayer? Sure, some pots and pan may need an extra scrub-down, but it definitely doesn’t require water to get most of the leftovers off a plate.